Providing rapid roofing and maintenance for void properties. When dealing with void properties the main issue is minimising expenditure in terms of both time and money. A small part of the whole process, we aim to be a key cog that keeps the whole project turning over by being flexible and rapid in our response to calls for maintenance on void properties. 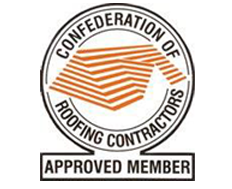 Ensuring there is no damage to the property caused by faulty roofs, renewing tiles and bringing old roofs up to modern building regulations come as standard when you work with us. Fitting in seamlessly with any ongoing site-work and liaising directly with the project manager, our years in the industry and sustained growth as a company speak volumes for the calibre of the services that we provide. Helping make properties safe and secure, and getting them back on the market as soon as possible is of paramount importance, and our responsive team will ensure that your projects are complete without delay.